Dr. Nicole Padovan-LaGrasta is a 1998 graduate of UMDNJ Dental School. After graduation Dr. Padovan went on to complete a very rewarding and intense general Practice Residency at the Hackensack University Medical Center. She joined Dr. Neil Perkins practice in January 2000 and was given the opportunity to put into practice all she had been trained to do. With her gentle caring way, she eagerly grew as a dentist, and in 2004 became involved in implant dentistry, the fastest growing aspect in the dental field. With the retirement of Dr. Perkins in 2006, Dr. Padovan became the proud new owner of this successful dental practice. Dr. Padovan is married to her high school sweetheart Michael LaGrasta. Together they have 2 children, Olivia and Michael Tomis. They reside in Monmouth County New Jersey. 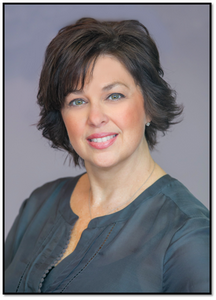 Together with her dedicated staff and accomplished associate dentists, Dr. Padovan maintains a state of the art practice, dedicated to the health and well being of her patients.